The most trusted tool in any finance professional’s toolkit is Excel. 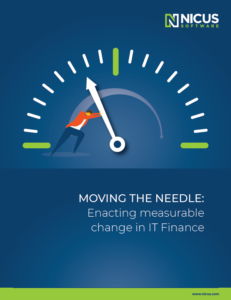 IT Finance practitioners have been managing IT financials in spreadsheets for years – and many still do so today. It’s flexible, familiar, and works well for handling small to medium amounts of data. However, as businesses grow, so does IT. 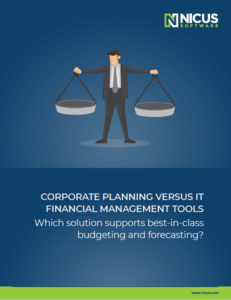 And as IT spend grows, so do the complexities of budgeting, forecasting, service costing, and understanding, managing, and optimizing spend. Eventually, spreadsheets simply can’t keep up. 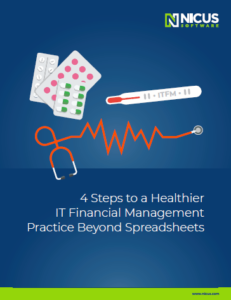 In this eBook, you'll learn ways to check your ITFM vital signs, recognize common symptoms of maturing beyond spreadsheets, and how to diagnose and treat with the right ITFM tool. IT Financial Management (ITFM) has become one of the most important initiatives for any organization. When IT can improve service while lowering costs, everyone benefits. With the right planning and roadmap, your ITFM deployment will not only succeed – it will flourish. 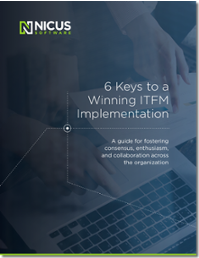 This eBook provides a roadmap to leading a successful ITFM implementation.